View More In Insects & Spiders. 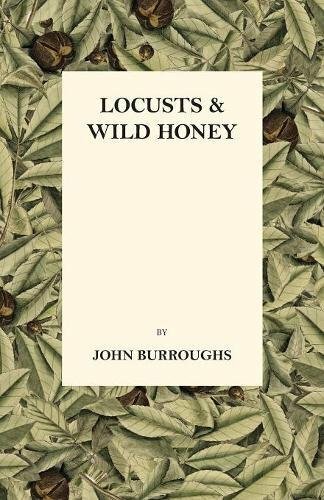 Originally published in 1879, “Locusts And Wild Honey” is a collection of essays by American naturalist John Burroughs, dealing with bees, birds, wild flowers and fruits, and much more. Beautifully-written and profoundly thought-provoking, this volume constitutes a must-read for nature lovers and fans of Burroughs' wonderful work. Contents include: "The Pastoral Bees," "Sharp Eyes," "Strawberries," "Is It Going to Rain?" "Speckled Trout," "Birds and Birds," "A Bed of Boughs," "Birds'-Nesting," and "The Halcyon in Canada." John Burroughs (1837 – 1921) was an American naturalist, essayist, and active member of the U.S. conservation movement. Burroughs' work was incredibly popular during his lifetime, and his legacy has lived on in the form of twelve U.S. Schools named after him, Burroughs Mountain, and the John Burroughs Association―which publicly recognizes well-written and illustrated natural history publications. Many vintage books such as this are becoming increasingly scarce and expensive. We are republishing this volume now in an affordable, modern, high-quality edition complete with a specially commissioned new biography of the author. If you have any questions about this product by Loman Press, contact us by completing and submitting the form below. If you are looking for a specif part number, please include it with your message.